Here comes some color! 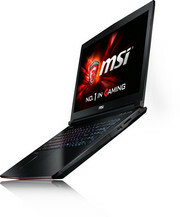 The MSI GE73VR 7RF Raider offers very good gaming performance at a weight below 3 kg (~6.6 lb). 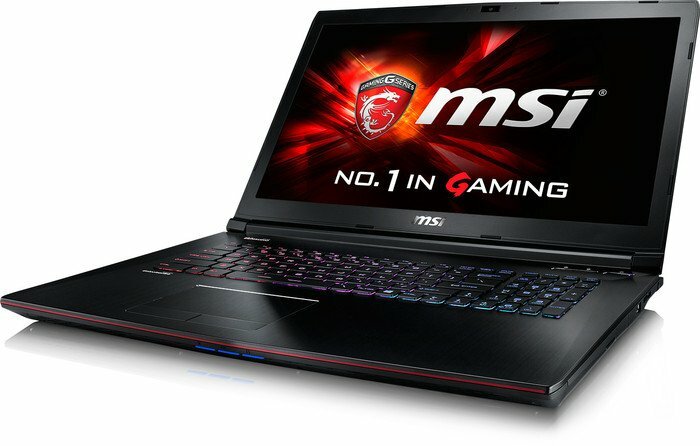 The 17-inch laptop masters even long gaming sessions. Whether there are weaknesses and if so where, you can find out in our review with a multitude of benchmarks. 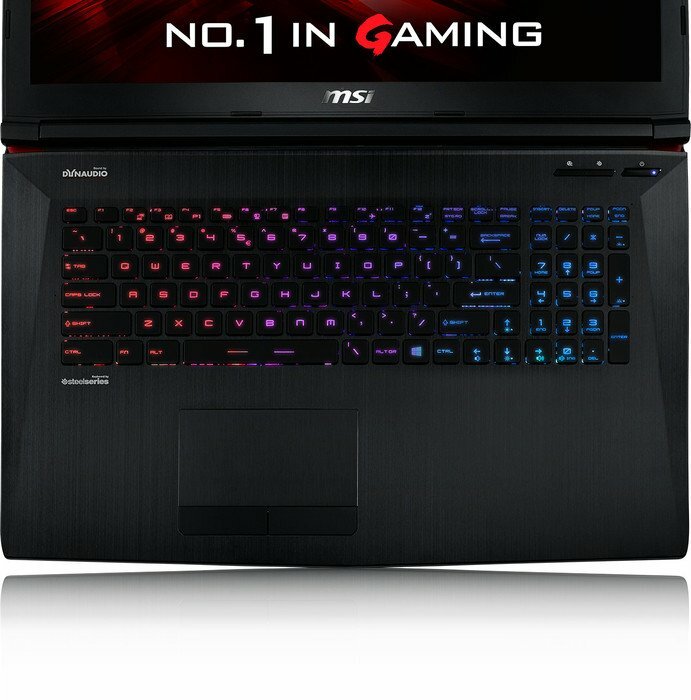 The MSI GE73VR 7RF Raider is a very expensive laptop, andwe’d consider going the DIY desktop route with this sort of budget. Then again, you can’t exactly stuff a desktop into your backpack, and not everyone has the space, which is why such laptops exist. 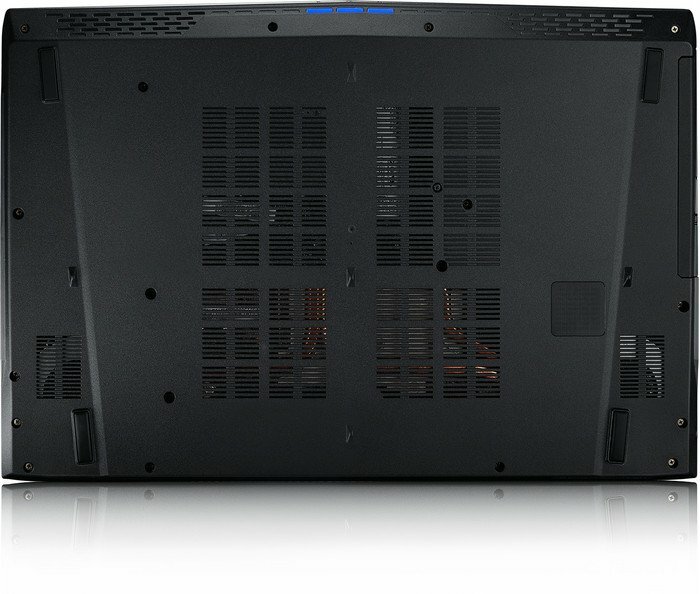 Looking at the competition, Dell has its Alienware 17 with a similar configuration (no 120Hz display but you do get 512GB SSD) which commands a higher price, and then there's HP’s Omen 17-an009tx, which is priced a tad lower and features a very similar core configuration as the Raider, including the 120Hz display. 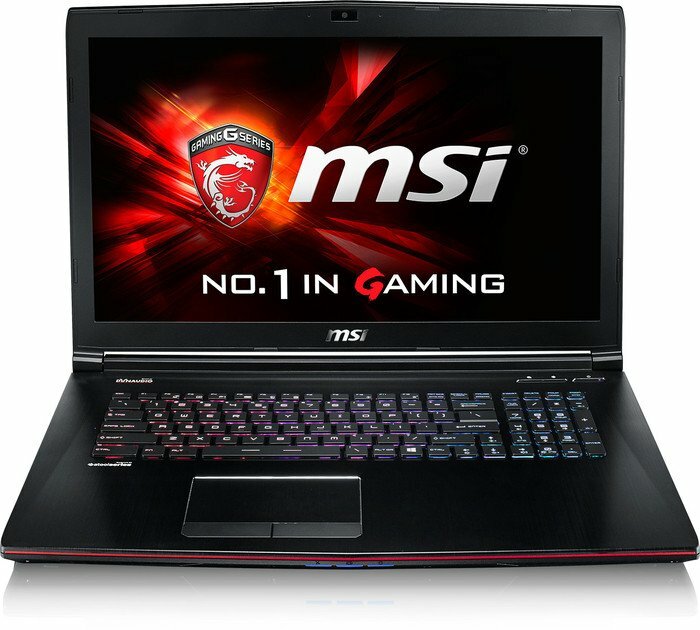 MSI GE73 VR Raider is a solid package, particularly if you’re behind the curve and looking to catch up. It’s got great specs and all the bells and whistles you want out of a gaming laptop. All told, it can run pretty much everything out at the moment without breaking too much of a sweat. Positive: Elegant design; slim size; light weight; high autonomy; good connectivity. Negative: High price; mediocre speakers. 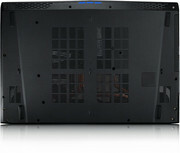 Positive: Compact size; light weight; stylish design; good cooling system; top speakers; comfortable keyboard. Negative: Short battery life; poor display; no Thunderbolt 3. Positive: Nice performance; comfortable keyboard; good display; decent speakers. Negative: Low autonomy; noisy under loads. Positive: Large screen; slim size and light weight; nice performance. Negative: Relatively high price. Positive: Elegant design; metal case; powerful hardware; compact size; comfortable keyboard; large screen; nice display; good cooling system; good speakers. Negative: Easy getting fingerprints; noisy under loads; high price. Model: While most gamers would balk at the sight of a thick unwieldy gaming notebook, there are still some who would be willing to contend with a slightly thicker gaming notebook if it doesn’t end up sacrificing performance but deliver extra feature on top of the premium pricing. 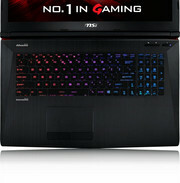 One such example is the MSI GE73VR 7RF Raider which still appeals to the traditional gamer. 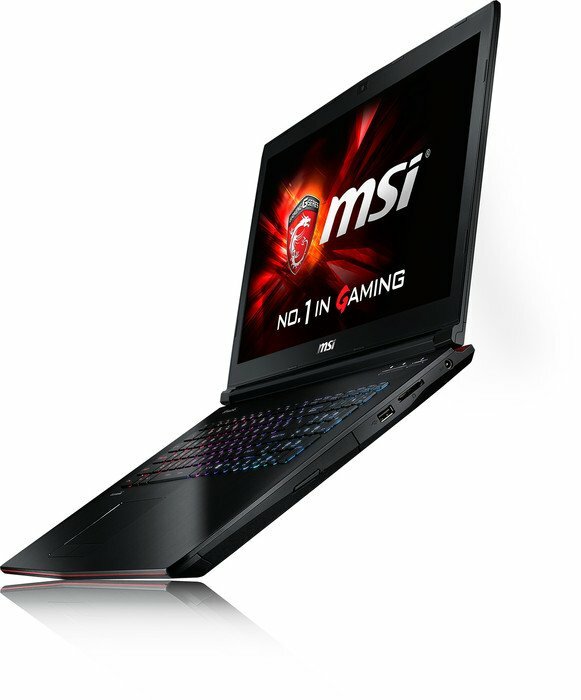 The MSI GE73VR 7RF Raider is equipped with an Intel Core i7-7700HQ processor with 16 GB of RAM, a combination of a 512 GB SSD and a 1 TB hard disk and last but not least an Nvidia Geforce GTX 1070 graphics processor. The GE73VR 7RF Raider sports MSI’s standard black and red accents without looking over the top when compared to its market competitors. The whole chassis is made out of brushed aluminium, which solidifies its premium build quality not to mention it is quite rigid and sturdy. What is even more welcome is that unlike most manufacturers MSI has made sure the device is easily user serviceable. You only have to remove its single base cover in order to access its components. Because this is a 17-inch notebook it naturally means that there should be plenty of space on deck for a full-sized keyboard. What may irk some users that it seems to have a slightly cramped keyboard, which isn’t really making use of the abundant real estate. This is counteracted with its good key travel distance, speed and consistency. The keyboard also comes bundled with a SteelSeries Engine 3 software to control its RGB backlighting. However, this cannot be said for its touchpad, which feels somewhat spongy and wrongly positioned. As this is a gaming notebook, GPU performance is important. The Nvidia Geforce GTX 1070 sports 2048 cores, which is slightly more than the desktop version. Hence, you can be certain that the GE73VR 7RF Raider packs a solid punch and is able to handle most if not all games at ultra settings. This is emphasized by the VR in its name, which indicates this notebook is VR ready. 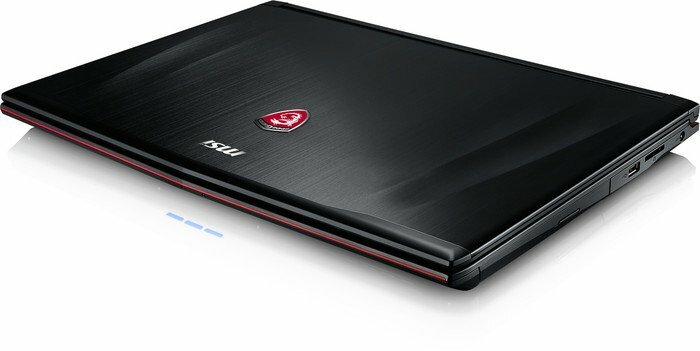 Although this notebook comes with 16 GB of RAM by default, which occupies both slots, users can actually expand its memory up to 32 GB if they so desire by getting 2x16 GB sticks.The GE73VR 7RF Raider sports a 1080p screen which feels a little scrawny for a notebook of this size what less of a GPU which was designed to handle 4K. This is not necessarily a bad point by all means if you intend to game in a constant 60 FPS or above. The included display unfortunately neither supports G-Sync nor Freesync supported. What somewhat makes this up is that it is a 120 Hz panel. The display is reasonably bright and scores well in sRGB ratings at 100%. Hence, users who do some media creation on the side will benefit from it. MSI did not spare a cent by equipping the GE73VR 7RF Raider with two speakers and two subwoofers, which allows bass to be solid although surprisingly the mids feel a little weaker than what one would expect. While the battery life does not always apply to notebooks of this size and caliber it is still quite interesting to know that with the power optimizations of the Pascal based GPU the GE73VR 7RF Raider was able to pull 3 hours and 57 minutes on Wi-Fi. 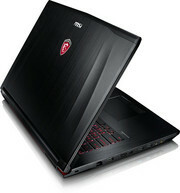 Overall, the GE73VR 7RF Raider is as hardy as most MSI made notebooks not to mention the quality and features offered. 75.98%: This rating is not convincing. The laptop is evaluated below average, this is not really a recommendation for purchase.